Mystery odors in an indoor environment can result in everything from a nuisance to health concerns for building occupants. These same odors can even lower property values and in commercial and institutional settings may result in lower productivity, increased absenteeism and higher turnover rates. 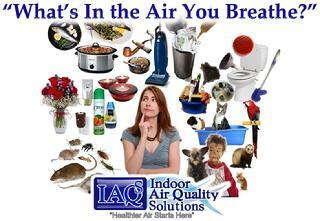 Problematic odors in properties may be the result of cigarette smoke, cooking odors, cleaning supplies and pets. They also result from unsanitary conditions, water damage and even vapor intrusion. Commercial properties may suffer from these same conditions as well as inadequate ventilation and off-gassing from manufacturing chemicals and manufacturing processes. Additional sources of mystery odors may be coming from mold, bacteria, sewer gases or off-gassing from building materials and household products. These odors may be signs of potential short or long term health concerns for building occupants as some off-gassing chemicals are known carcinogens.